Dragonair, the Hong Kong based regional sister airline to Cathay Pacific is currently recruiting experienced candidates to begin training as cadet pilots. The Dragonair Cadet Pilot Program provides all the necessary training required to enable young Hong Kong men and women to become the Airline Pilots of the future. After successful completion of the program, Cadets may be offered employment to join our professional crew team to operate our modern Airbus fleet. Minimum educational standard: completed secondary school with good passes in English Language, Physics and Mathematics, or a Degree in any discipline (science subjects preferred). Successful candidates will be offered training sponsorship for the Cadet Pilot Program, which includes training tuition and travel/meals/accommodation for overseas training. 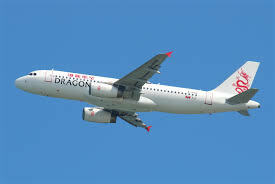 With a presence in Hong Kong, Flightdeck Consulting is uniquely positioned to give you the best opportunity of success in your Dragonair Interview. When you appoint Flightdeck to prepare you for your interview we will also assist in completing your online application, ensuring the best possible chance of being called for an interview.